LMG assist foreign and domestic food facilities to register with FDA, we also provide US FDA Agent service to foreign food facilities. Please complete our online form to register your food facility with FDA. 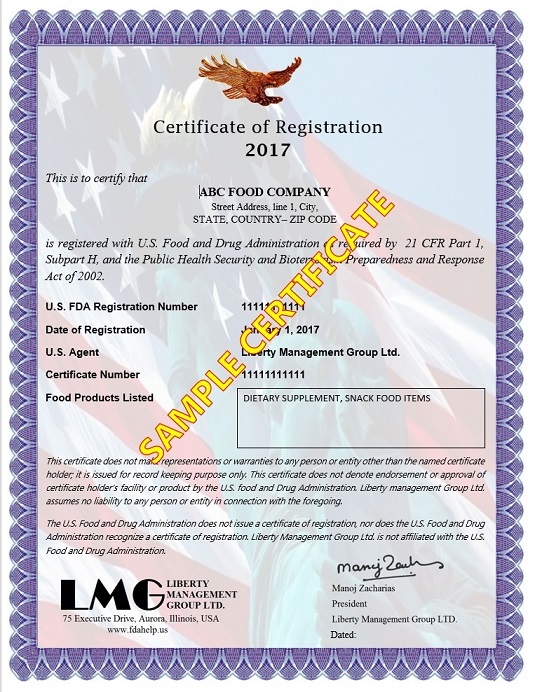 We issue free FDA registration certificate after successfully register your food facility with FDA. You can verify certificate validity on our website Verify Registration Certificate. Foreign and Domestic establishments who market medical devices in the USA, must register with FDA. There is a FDA user fee for medical device establishment registration, the fees for the year 2019 is USD 4884 for each establishment. The registration is valid till December 31. 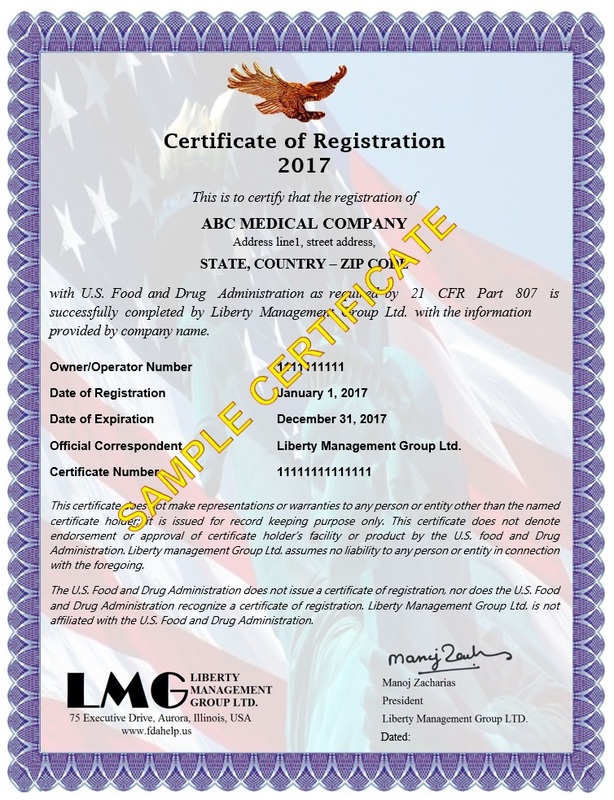 LMG help medical device manufacturers to register with US FDA. Please complete our online form to register your medical device establishment with FDA. We issue free certificate of FDA registration after successfully register your establishment with FDA. You can verify certificate validity on our website. LMG provide assistance to foreign and domestic Drug establishements to register with US FDA, we also provide assistance with NDC Labeler code and Drug listing. Please complete our online form to register your Drug Establishment with FDA. 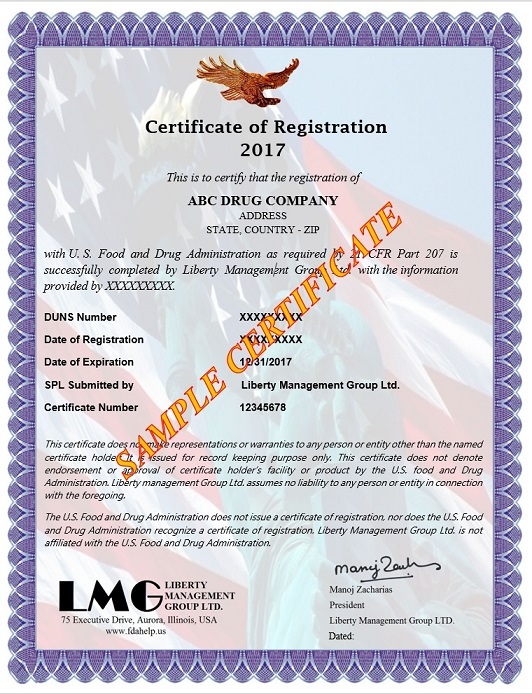 We issue free registration certificate as a proof of FDA registration after completing Drug registration. You can verify certificate validity on our website.